Irregularities are quickly detected, reported to the appropriate authorities, and resolved to prevent recurrences. The employee who has the authority and knowledge to approve transactions on the account. 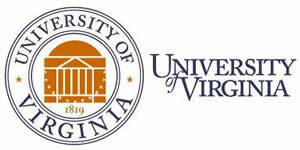 A project (in the UVa account structure) used to temporarily hold transactions that are to be transferred to another account. A project (in the UVa account structure) used to record expenditure activity (spending money) that must be funded by an Award. The employee who performs the monthly detailed reconciliation and prepares documentation for approval. A systematic review of accounts against source documents to verify that all charges are accurate and appropriate, and to identify expected charges that have not yet occurred. A Project used to record revenue in the General Ledger. A Sponsored Program is not permitted to be a Revenue Project. The timely review of transactions and reconciliation of all Projects are critical to maintaining the integrity of the University’s accounting records. Units must maintain files that are sufficient to support the accuracy and completeness of data entered into the financial system(s) of record. This documentation must be retained by the unit to satisfy University, state, federal, and, if applicable, sponsor records retention requirements (see policy IRM-017, Records Management) and to support transactions in case of audit. Unit leaders/supervisors are responsible for verifying that preparers and approvers complete all required training and comply with applicable University policies, procedures, and standards related to reconciliation, system access/use, and record retention. The University system(s) of record must be used for reconciling projects in accordance with University reconciliation procedures. University units are not permitted to establish or operate independent accounting systems without approval by the Assistant Vice President for Financial Operations. For those units that have an approved independent system, that system can be referenced for supplemental detail in support of unit reconciliations. Failure to comply with the requirements of this policy may result in disciplinary action up to and including termination in accordance with relevant University policies. Revision History: Updated 2/16/18, 1/25/18 (procedures); 11/16/17; 10/12/17; 6/30/11. II.B.2, University Reviews and Reconciliations.